The lodge offers 4 unique non-smoking luxury self-catering tented chalets, each designed with the objective to ensure privacy whilst enhancing the bush experience. It is ideal for a romantic weekend getaway. 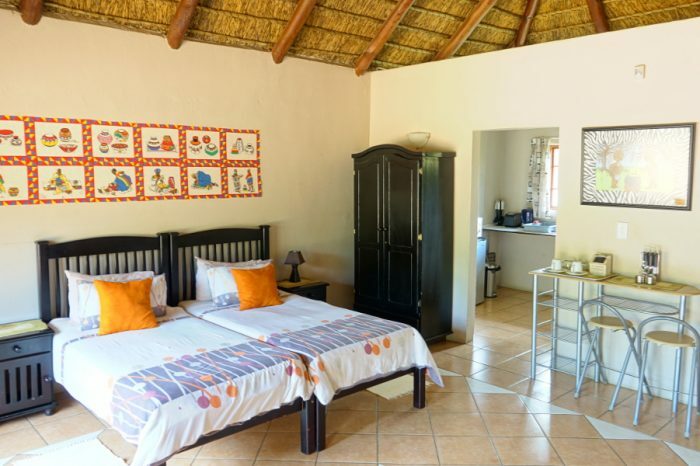 Each chalet has a small equipped kitchen and a patio dining area as well as its own private bushveld boma and braai/barbeque facility, providing the opportunity to enjoy the perfect camp fire under starry lit African skies. 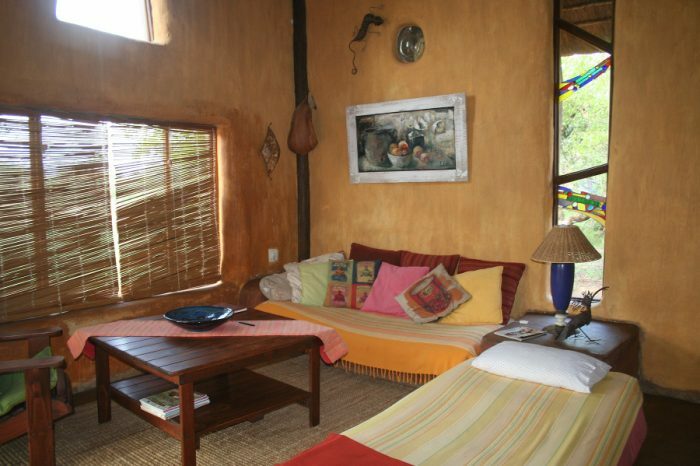 As alternative the entire lodge can also be booked for groups as a sleeper couch and roll away beds are available on request. Ideal for family gatherings and / or corporate executive breakaways. The Lookout Safari Lodge is designed around a central entertainment area raised on to a high platform ensuring unsurpassed views over the bush. The entertainment area offers a seating and viewing area, dining area for 10 and a fully equipped kitchen and built in braai. The fire pit next to the swimming pool and entertainment area allows for evenings spent under the stars around a crackling fire. And in the daytime guest can soak up the summer sun lounging next to the splash pool. 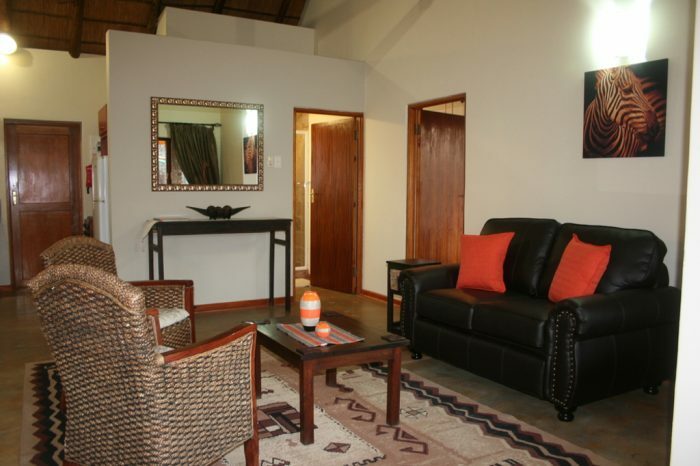 If game viewing is no longer an option the lounge also offers DSTV facilities.